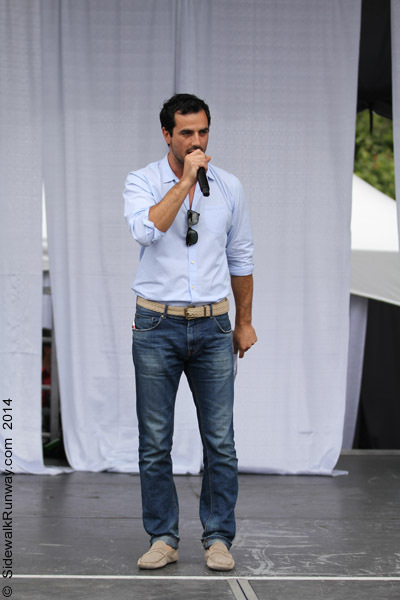 Romielle Fashion Show @ the Italian Day Festival 2014 — If the sidewalk was a runway, what would you wear? 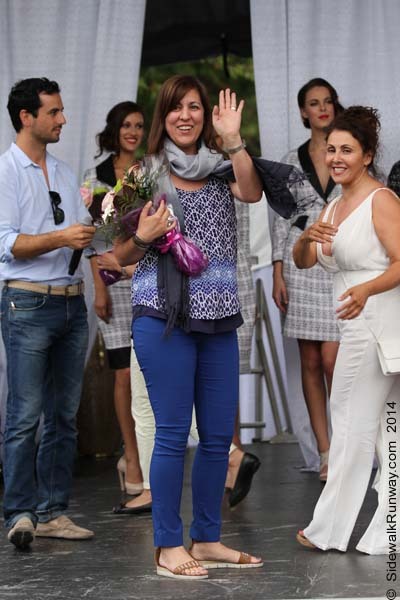 I was pleased with the quality of the fashion shows hosted by the Italian Day festival on Commercial Drive. 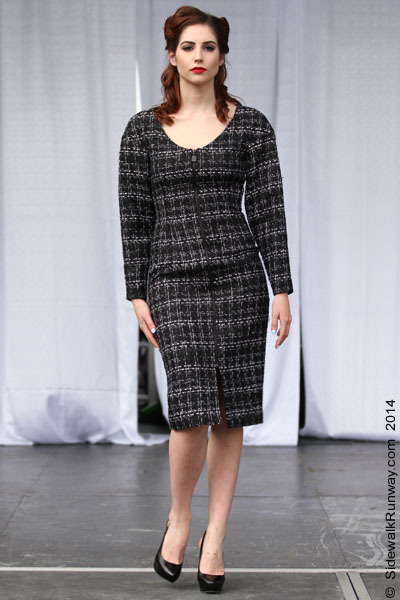 Last year local designer Jacqueline Conoir was featured. This year the local mother daughter duo of Anastacia & Irina Shorohov was featured. Their show opened with their “Drama Queen” import line featured below. 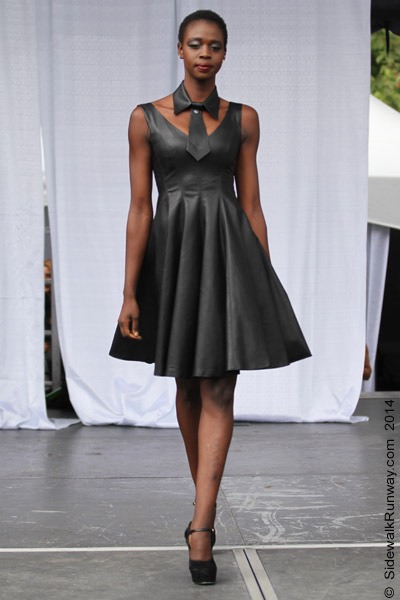 Romielle Designs is their couture, Fall/Winter 2014 collection. 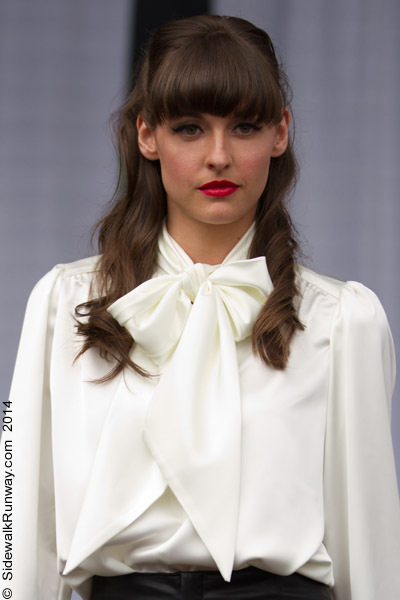 I loved the clean, tailored sophisticated look. Anastacia said their collection was made with tweed, leather, satin and wool. I was particularly like the white tweet pieces. The heels were provided by Kalena’s Shoes. Celeste was featured in the Asian Pacific Post newspaper. She’s wearing a white tweed suit with leather trim. Suzette was featured in the Asian Pacific Post newspaper. 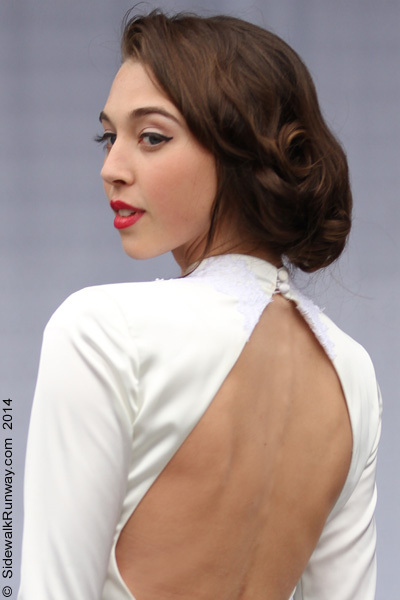 She’s wearing a white tweed dress with a front gold button. 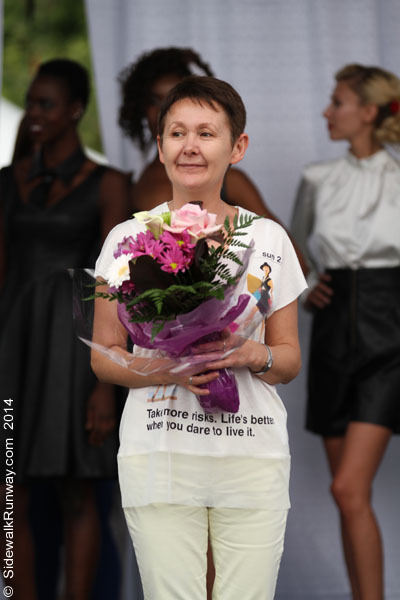 Rosemary was featured in the Asian Pacific Post newspaper. She’s wearing a leather dress with a front zipper. Stephanie was featured in the Asian Pacific Post newspaper. She’s wearinga leather jacket and pencil skirt.